Church Of The Trinity, Thu 14 Mar. Streets Of London is 50 years old this year, and both the song and its composer are aging gracefully. 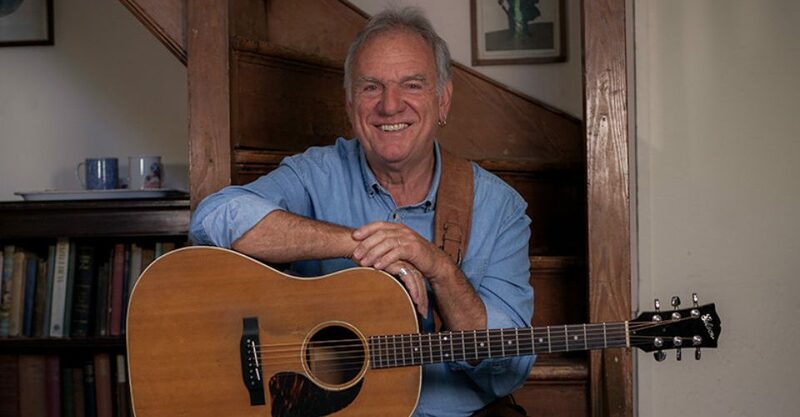 Ralph McTell is a Londoner born and bred but learned to play guitar by listening to black American blues and ragtime players like Big Bill Broonzy and Blind Blake, so there’s a lot more in his musical repertoire than just standard folk. Indeed, the breadth and scope of his original material covering several decades is just awesome. Every song comes with an interesting tale – told many times I’m sure – but still told again with sincerity and enthusiasm for us as if he were telling it for the first time. And the music aside, that has always been one of McTell’s strengths as a performer. He just has that knack of effortlessly bringing you into his world – two hours of chat and songs just flew by. I could be picky and say I noticed a few occasions where he didn’t quite hit the melody as purely as he might have decades back, but his voice is still strong, deep and rich. His songs are also rich in metaphor (Peppers And Tomatoes), and frequently come with a tinge of melancholy but it’s more the pensive type of melancholy that comes from an acceptance of what life brings rather than sadness. An evening with Ralph McTell is in fact quite life affirming. He certainly refreshed my soul. An evening full of treasures.